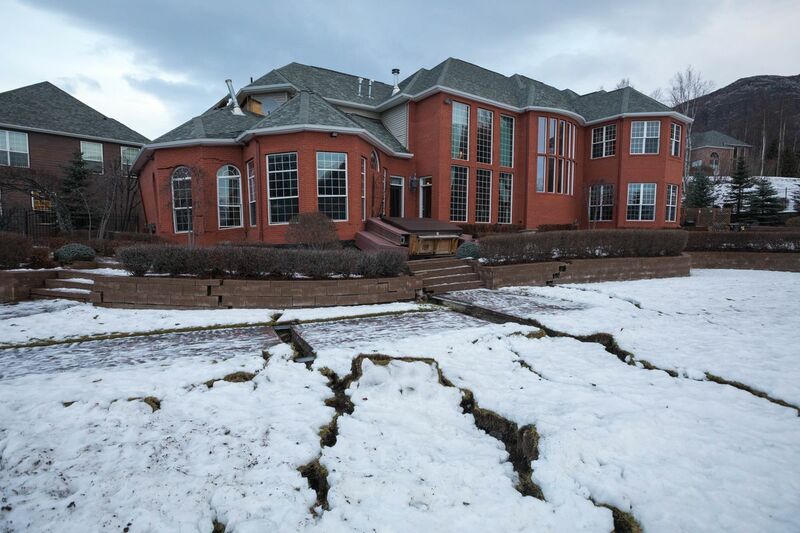 Anchorage fire officials were urging residents to walk through homes and check for damages In the wake of Friday morning’s earthquake – and evacuate if there’s any sign of serious structural damage. Small cracks in sheetrock are probably OK, said Anchorage fire chief Jodie Hettrick. • A crack that you can look through to the outside. • Windows and doors that no longer open. • Standing outside and seeing the whole house listing right or left, or it doesn’t look square. Any of those situations may be a sign the house isn’t safe to occupy, Hettrick said. She suggested evacuating in response to big cracks or shifting. But it wasn’t exactly clear who residents should call to get a formal safety assessment. Hettrick said Friday the city has been focused on evaluating municipal structures and public facilities. A friend or family member who is a general contractor would be a good place to start, Hettrick said. She said the fire department hoped to have more information out soon.